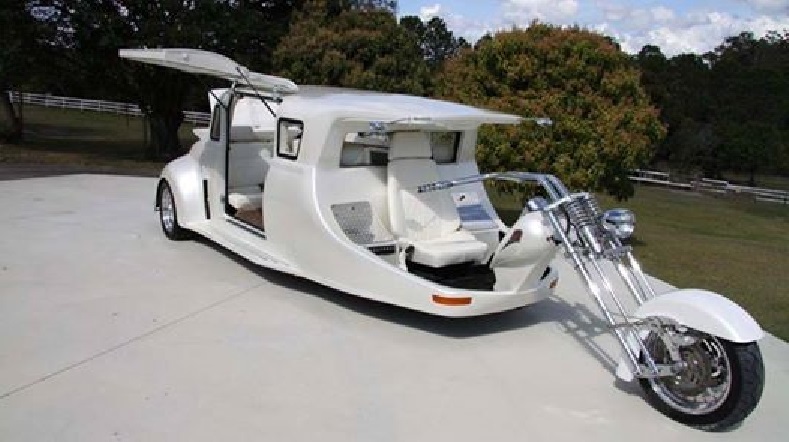 In 2012 Wildlife-Tours of Australia built a custom hybrid limo-bike, they hoped to make a fleet of them so they could party in style. The Harley Davidson Limo bike crossbreed is over 20 feet long and is powered by a 5.7L V8 Chevy engine, with about 350 horsepower. It has a bar, AC cooling, a TV, doors that lift up to open, and has room to seat eight people. All we can say could you imagine turning up at a party or prom blasting Bat Out Of Hell with the V8 roaring as you pull up in this beast. Of course, this isn’t an original idea for many years people have been cutting the classic Volkswagen Beetle up and making great hybrids out of the classic cars. The Beetle with its rear mounted 1100-1600cc engine made the perfect vehicle to do these creative transformations. Have you seen one of these traveling down the highway? I’ve been lucky to have spotted a couple, and they really are a thing of beauty.